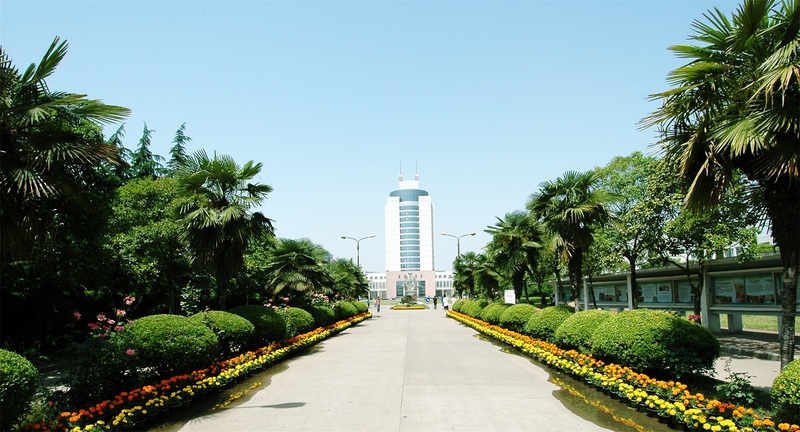 Huaiyin Institute of Technology (HYIT) is one of the multi-disciplinary engineering institutions of higher education under the Jiangsu Provincial Department of Education. It is situated in Huai'an, Jiangsu province. It is the birthplace of Zhou Enlai, the most respected first Chinese Premier of the People's Republic of China. HYIT has two campuses—Meichenglu Campus and Beijinglu Campus, covering an area of about 148 hectares. HYIT has perfect infrastructure and facilities, with fixed assets worth of 1.35 billion yuan. The library has a collection of over 1,400,000 print volumes, with 1,800 different types of academic periodicals and 27 electronic academic databases both in Chinese and foreign languages. HYIT consists of 15 faculties and colleges featuring Mechanical Engineering, Electronic and Electrical Engineering, Computer Engineering, Architecture and Civil Engineering, Life Science & Chemical Engineering, Transportation Engineering, Economics and Management, Mathematics and Physics, Humanities, Foreign Languages, Artistic Designing, Physical Education, and Jianghuai College and College of Continuing Education. HYIT has al-together 53 undergraduate programs and two national major-building disciplines, four provincial distinctive programs, two provincial major-building disciplines, a provincial brand program, three provincial key disciplines, five provincial key laboratories and seven provincial experimental teaching demonstration centers. HYIT now has nearly 17,800 registered students pursuing bachelor's degrees and a staff of 1,341, among whom 985 are faculty members, with 372 professors and associate professors; 810 holding doctors or masters' degrees; four are honored by the state government for their outstanding contributions and enjoy special allowance from the State Council; 54 have been selected as candidates for Jiangsu provincial "Project 333" or gained the titles of provincial outstanding discipline leaders or excellent young teachers. HYIT focuses on the scientific research for the regional social and economic development. In recent few years, the faculty members have undertaken 321 scientific research projects of national, provincial and municipal level, won 49 municipal awards for scientific and technological progress, got 188 patents approved in China; published 4,046 papers, with 1,261 on core journals and 803 included by SCI, EI and ISTP. HYIT has been enhancing the linkage and cooperation with overseas universities in the USA, Canada, Australia, Japan, India, Malaysia, New Zealand and Singapore. Every year, it has many students going abroad to study and also sends many teachers to study abroad or work as international visiting scholars. At the same time, it has invited many overseas teachers to work with the institute.